I'm breaking tradition and giving you my initial first impressions of this new tablet. 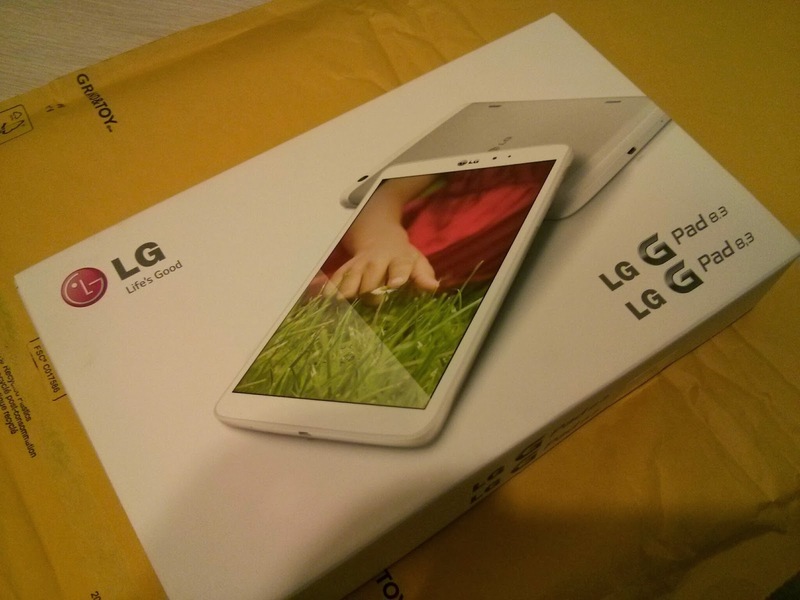 The LG G Pad 8.3 is awesome. It's what I expect out of a nice medium sized tablet, and what I've come to expect out of some real QUALITY builds from LG (their L series devices aside). Really, go look at my LG G2 or my Optimus G reviews. LG is making some real nice equipment lately, and this tablet does not disappoint. I bought a tablet over the holidays, as I had some gift cards to burn. I went looking for this guy, but could not find him anywhere, so I bought the Note 8. I'm not upset I bought the Note 8, I do like the S Pen... writing on the G Pad is great, but nowhere as fluid as on the Note. But the G Pad excels in many other areas. Better battery, better resolution (oh my god, the pixels!! ), better build, better processor. 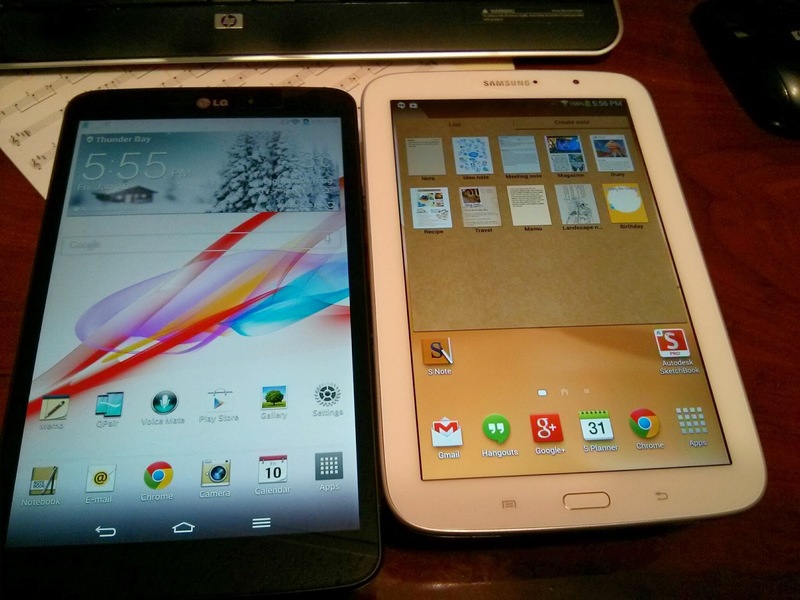 It's unfortunate that my benchmarking is against a 6/7 month old tablet, but it's what I'm comparing it against. I wont' talk any more about it, but it really is a treat. Now, if only we could find places in Canada to buy it!! Compare to my Note 8 which is almost the same except for a slightly slower processor, but way lower resolution (1280x800). The batteries say they're the same, but my Note 8 drains WAAAY faster than this G Pad. 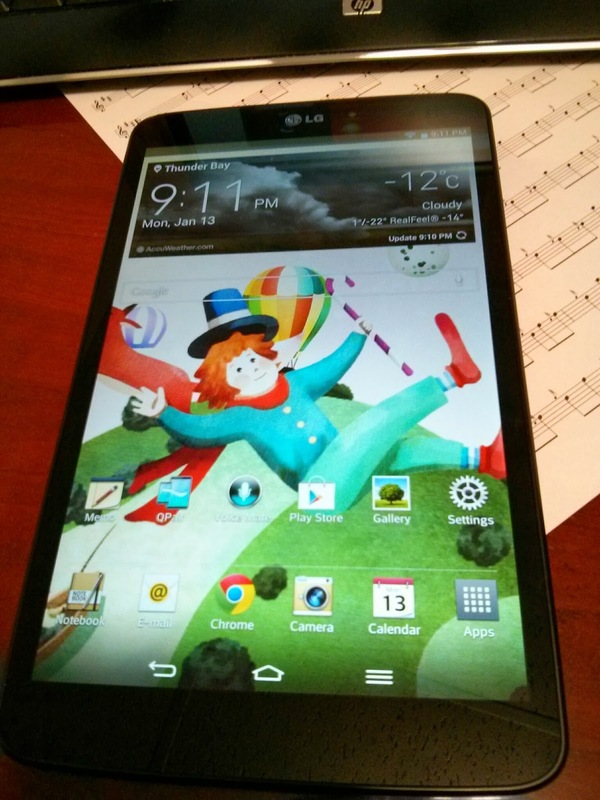 Read my review on the G2, and just extrapolate it to an 8.3" model! The only downside I've found thus far is that the Quick Remote app isn't anywhere near as well done as the Samsung. The G Pad's app doesn't have codes for my Motorola PVR or PACE PVR, or even my Hitachi TV. Well done so far LG. Looking forward to really testing this out over the next while to give you all my full review.